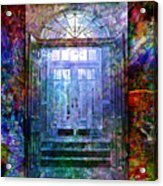 Queen duvet cover (88" x 88") featuring the image "Rounded Doors" by Barbara Berney. Our soft microfiber duvet covers are hand sewn and include a hidden zipper for easy washing and assembly. Your selected image is printed on the top surface with a soft white surface underneath. All duvet covers are machine washable with cold water and a mild detergent. Wow, Love the colours and texture.. brilliant!!!! Thank you, Andrzej. Your kind words are appreciated. I'm self-taught in the computer realm. 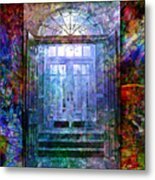 I worked as a graphic artist for 37 years, 19+ on the computer. I taught myself how to do most things on the Mac, but not to do what I do now. That was strictly intuition, trial and error and a shot of pure desperation as my hands were in casts for three years in a row. Thanks, Earl. Love your FB page! 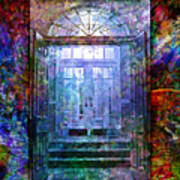 really interesting and ethereal effect and the colors are fascinating with movement and joy. thanks. 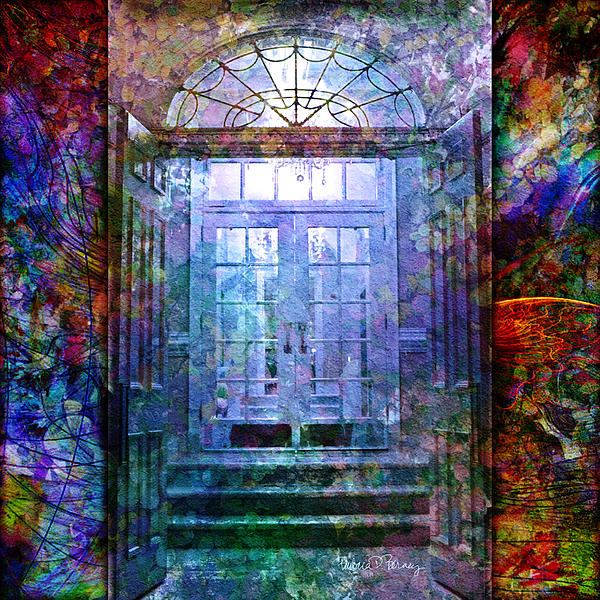 Rounded Doors is an original digital collage created through a series of layers, using photographic, fractal and hand-drawn images with original textures and colors. The layers are manipulated individually to achieve the desired effect. I only occasionally use filters in my work. Some pieces may have as many as one hundred layers.